Heat oil in a skillet over medium heat; cook and stir cumin seeds until fragrant, about 1 minute. Add onion, carrot, and green chile peppers; cook and stir until slightly tender, about 5 minutes. Add ginger-garlic powder and cook for about 5 minutes. Pulse spinach leaves in a blender until a paste forms. Add spinach paste to onion mixture; cook and stir until all the water has evaporated from the spinach, 2 to 3 minutes. 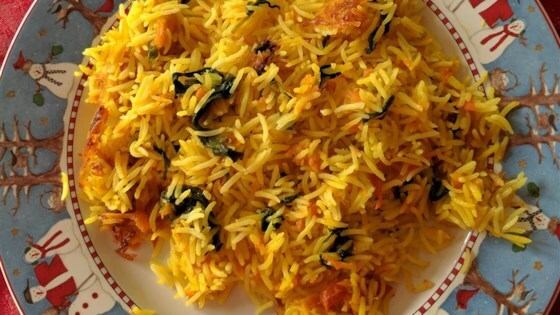 Mix rice, coriander powder, and salt into spinach mixture until evenly combined. Transfer rice mixture to a rice cooker and add water. Cook spinach rice in the rice cooker according to manufacturer's instructions, about 20 minutes.